With a history steeped in wellness practices, Bali continues to attract health-focused tourists and entrepreneurs from all over the world. The island’s mix of affordability, diversity and creativity make it one of Asia’s most exciting wellness markets. In line with a boom in tourism that began in the 1980s, the destination has developed a reputation for attracting seekers of health and wellness practices. But beyond the glossy Instagram photos depicting the island’s aspirational wellness offerings, for business owners, as the industry matures, the travel, F&B, organic and sustainable living sectors all hold opportunities for growth. As one of its most prominent wellness sectors, Bali’s spa industry is thriving. “Bali’s attractions for spa and wellness tourism include its skilled local therapists, abundant local ingredients for spa products and its natural landscape (with many spas offering services in unique natural settings, such as seaside or in the jungle),” according to a recent paper by the Global Spa Summit. “Bali has become a leader in luxury spa tourism in Asia and almost all of Bali’s top hotels offer world-class spa facilities,” it concludes. Understanding the lucrativeness of wellness tourism, leading international hotel groups have long invested in properties on the island. Well-established players Como Shambhala Estate and Four Seasons Resort Bali at Sayan both offer secluded yoga and detox-focused stays for the luxury traveller. Boutique accommodation, Fivelements Bali, on the other hand, has been offering retreats, raw plant-based cuisine and various healing and movement modalities such as yoga, Balinese ceremonies, meditation and energy work for over a decade. Many of these foreign owned and operated spa centres have incorporated a sense of local culture through the use of local massage techniques, essential oils, botanical baths, and river stones. Spa therapies, however, are not exclusive to the high-end market. In fact, small locally-run massage spaces are securing their share of the market by offering competitive rates for as low as USD 8 per hour. Bali’s general affordability means the market holds lots of opportunities for low to mid-end wellness businesses across all of its wellness sectors. Bali Dacha is just one example. The eco-boutique hotel located in the secluded Bedulu, launched in 2014 by Russian couple, Dennis and Katerina Ovchinnikova, expanded in late 2016 to include a Russian-style sauna, spa packages and healthy snacks. Its affordable eco-conscious yoga retreats and spa treatments have made the hotel a popular choice for travellers booking through Airbnb. Wellness-oriented centres, such as Bali Dacha, have become increasingly popular in the recent years. Taksu Spa and Restaurant has also expanded its already expansive wellness offering of plant-based food, metaphysical healing and yoga to include a boutique, health food court and spa salon. And it’s not just Eastern-style wellness business that are leveraging Bali’s wellness boom. Early 2017 saw the opening of Eden Life Centres, a Western-style wellness center that offers aesthetic skin treatments, nutrition advice, massages, IV therapy and osteopathy for visitors to the island who are looking for recognisable wellness solutions to integrate into their travels. Elsewhere, festivals such as Ubud’s BaliSpirit Festival, which has been running annually for the past ten years, continues to expand. Last year the event attracted over 7,000 visitors from more than 50 countries looking to experience yoga, dance, meditation, music, and breathwork. Yoga holidays have become increasingly popular in Bali. In virtually every tourist and expat-populated town such as Canguu, Seminyak, Kuta, Ulu Watu and Ubud, consumers can find yoga studios big and small, such as Seminyak Yoga Shala, Intuitive Flow, Radiantly Alive, The Power of Now Oasis and Samadi Bali. Although the market is relatively well-established, the rise in tourism and interest in yoga continues to drive the industry, with demand still outweighing supply. One of the largest yoga centres on the island is The Yoga Barn, a large property in Ubud that offers workshops, training and daily classes, highlights the market’s growth in recent years. Since its inception in 2007, it has expanded to include more yoga studios, a juice bar, cafe, Ayurvedic spa, accommodation, and most recently an app, for greater ease of booking classes. But it’s not all yoga retreats and massage treatments. Bali’s fitness scene now includes a range of outdoor activities such as hiking, river rafting, mountain biking and various water sports. A growing number of gyms such as Daily Gym Bali and Louis and Friends have also opened, catering to locals, expats and vacationers looking for alternative ways to stay in shape. Answering the call for more world-class fitness facilities is Titi Batu Ubud Club. Slated to open in August of this year, this family sports club will target Ubud’s expatriates. The club is set to offer services such as yoga, dance, fitness programs and spa treatments. The property itself will include a fully equipped gym, squash court, lap pool, steam rooms and saunas. “We are catering to families, so parents can enjoy their program of choice while their children are entertained at the playground, in the family pool, or at the skate park,” says Founder Leo Kwok. “For the first time in Ubud, we aim to fill the niche of athletic and leisure activities – for all ages – all under one roof. We will also offer a plethora of local, sustainable whole foods at our two restaurants, coffee shop and a takeaway kiosk,” he adds. Western mainstream fitness trends, such as Mixed Martial Arts and CrossFit have also taken root on the island. 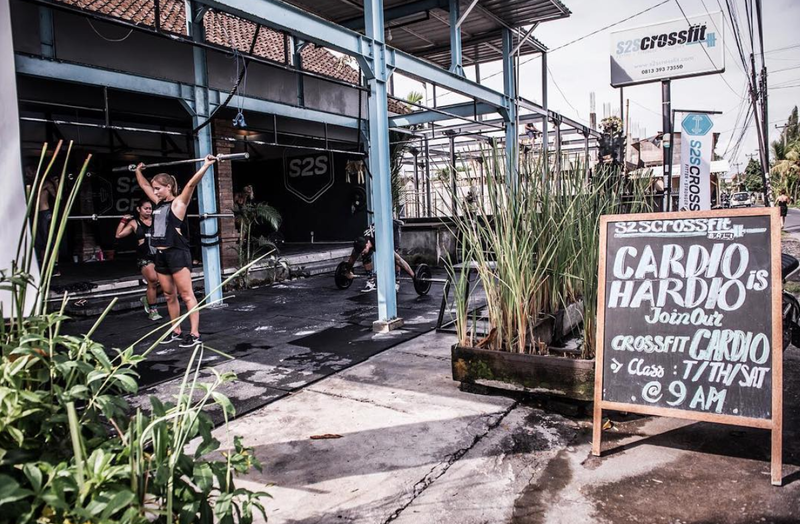 S2S Crossfit launched in Canggu in 2013, making it one of the pioneering fitness businesses in the area. Since its inception, the brand has broadened its offering to include CrossFit-focused holiday retreats and healthy frozen meals by way of Fitmeals Bali. Despite challenges, such as catering to different cultures and finding well-trained trainers who are willing to base themselves in Bali for the long-term, Fredeluces says that her businesses are booming. 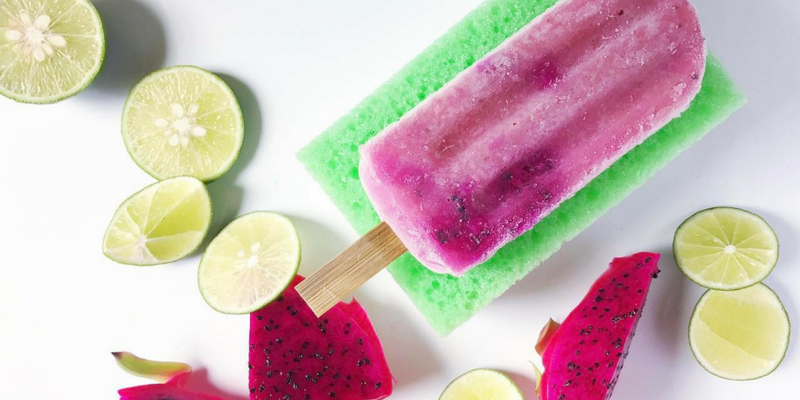 On the food and beverage front, businesses that are advocating for locally-grown, organic, plant-based food and drink concepts continue to find their footing. Such players include Alchemy, Mad Pops, Cafe Zucchini, Soma, Nalu Bowls, and Kafe. Driven by health-conscious millennials, these establishments cater to travellers that don’t want to compromise either their ethical beliefs or dietary needs while taking time out of their usual schedules. Moving forward, food deliveries, especially those that cater to specific diets such as paleo and plant-based, are projected to grow on the island. More farm-to-table initiatives are also expected to flourish – from casual cafes like Sari Organik and Moksa to the more upscale projects like Locavore and lauded chef Ryan Clift’s GROW, which opened in May 2017. The market isn’t without its challenges, but despite the island experiencing a 4.1% fall in its economic growth last year, due to Gunung Agung’s eruptions, Azka Subhan Aminurridho, the Head of Bank Indonesia’s Economic Development Advisory Division in Bali, has projected growth of approximately 6% in the first quarter of 2018, highlighting Bali’s resiliency to bounce back and then some. And with US investment firm, Stern Resource Group expressing interest in investing in the northern area of Buleleng, to develop the location into a health hub with a world-class hospital and/or clinic, Bali’s wellness industry looks set to benefit significantly. With Indonesia’s Coordinating Maritime Affairs Minister, Luhut Pandjaitan, also announcing the local government’s intent to build a new airport in Northern Bali, not only will this increase the amount of tourists landing on the island, but it will also support development in the North, creating new opportunities for business owners, supported by a more robust infrastructure. 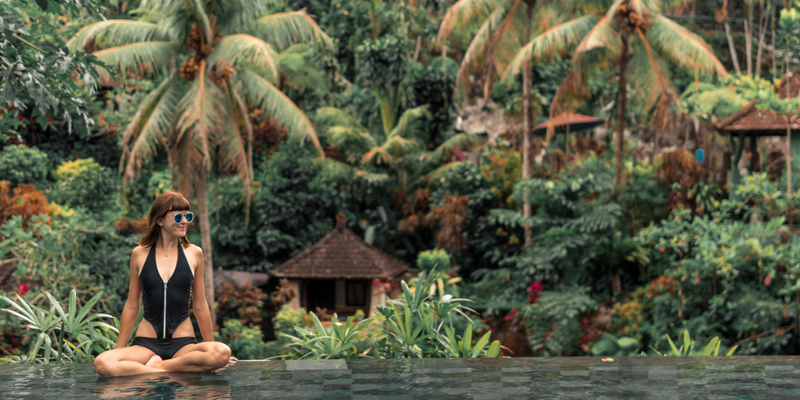 “As health and wellness become culture norms internationally I believe that the wellness market in Bali will only continue to grow,” argues Kwok. “As an already established wellness destination, the continuing affordability of Bali will only enhance its accessibility.